Daniel Negreanu is one of the most recognizable faces in the world of poker, and his influence was once again recognized, across the poker industry, after he was voted in as the highest-ranked poker player, in the 2013 BLUFF Power 20. He also sits in sixth position on the ‘All Time Money List’ with $17,476,837 in live tournament earnings and is, without doubt, the head honcho in the coveted team of PokerStars Pros. The Canadians victory at the WSOP-APAC Main Event, cooked up a frenzy of delight within the poker media. There is nothing like a top dog taking the top prize to get the journalistic juices flowing. But we all know that Negreanu is a great poker player. There is not a tournament that Negreanu cannot afford to play in and there are plenty that he no doubt gets invited to play in for free. That’s how life is at the top. So armed with a piggy bank stuffed with cash and the ability to enter any tournament in the world without holding the hand of fear, it’s obvious that his skills will increase substantially, and the man will win things; instead, I want to focus on the comments that Mark Vos made on his Facebook page shortly after Negreanu won his fifth bracelet. 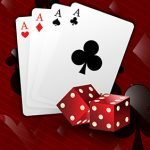 The South African born Australian resident is enjoying the life that his poker skills has afforded him, with some well deserved traveling as he enjoys life to the full. 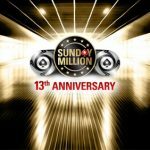 Vos is the 16th biggest online cash game winner of all time with $2,970,233 in profit, he has earned $1.3 million in live tournaments and also owns a WSOP bracelet. He also has a point of view and one that should be respected. This is not the first time that Negreanu would have flexed his emotion muscles in a career that has lasted longer than 16-years. 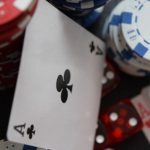 But it is his second emotional outburst in a matter of weeks, after he petulantly threw his chips all over to the table after being eliminated from the PartyPoker Premier League VI in London recently. 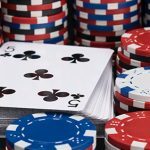 The game had to be temporarily suspended as the chip stacks of each player had to be verified due to Negreanu’s actions. Maybe the answer lies in the relief that was etched all over his famous face after he finally got rid of Marton, and his fifth bracelet was finally slung over his wrist? If you cut this man open, poker chips, and cards, would spill all over the floor, because he lives and breathes poker; and for some that may fool you into believing that his emotional pedometer swings with his bankroll. It doesn’t. 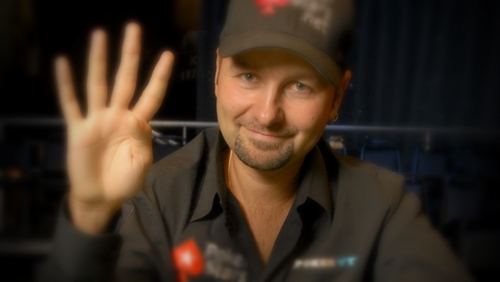 Daniel Negreanu is a winner because he is a winner. He, more than anyone else, understands that momentum begets momentum, and until the dealer put the four of diamonds onto the Crown felt to end the 2013 WSOP-APAC Main Event, Daniel Negreanu had not won a poker tournament since 2010, and only then in a hybrid golf/poker event that was played for fun at the European Poker Tour (EPT) in Vilamoura with only 17-entries. Some of you may look at his cash results and believe a winless streak may not affect him? That $1 million cashes in each of the years since he last won an event is good enough. You would be wrong. Most of the negative feedback concerned Negreanu’s forthright views on the world in what is perceived to be an attitude bordering on arrogance; but what helps promote the game to a wider audience, staid and wooden puppets or animation that borders on arrogance? The game is struggling at the moment because the money is drying up. Roberto Romanello, a former World Poker Tour (WPT) and EPT champion, is choosing to stay at home instead of flying to participate at EPT Berlin so he can concentrate on his family business rather than spend €15,000 on a poker trip. Romanello is a former Full Tilt sponsored pro, and the lack of company sponsorship is having an affect on worldwide attendance figures with more and more players choosing to stay at home. The game needs investment, the game needs attention and Daniel Negreanu is one of the people best served to help produce this. When Daniel Negreanu is asked a question, you get an answer. 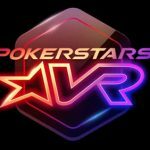 I understand that his status within PokerStars means he can walk through flames without getting burned (what other Team PokerStars Pro could criticise the EPT and remain employed), but he has earned that honor through his devotion to the game. How refreshing it is to be able to put out content to the world where a poker player actually talks about something a little deeper than how you first got into the game playing dealers choice with the family sat around the kitchen table. A huge part of the Negreanu appeal is the fact that he is not scared to discuss any issue. His controversial ramblings in his video blogs are seen by over 40,000 people a week and he has nearly 238,000 followers on Twitter. How do you think you achieve such a following like this and how do you propose he keeps them entertained? When sentences leave his mouth and 140-character tweets leave his phone, they reach many peoples ears and eyes and so logic dictates they will also reach some peoples open mouths. It is impossible for anyone to answer questions as forthright as this man does without raising the ire of one or two individuals. I know that, you know that and Daniel Negreanu knows that. Back to the kick aimed at the poor unfortunate table at the WSOP-APAC final, and you have to say, ‘who cares?’ Do you think his opponent Daniel Marton cared? The man had just won $667,592 and was facing an 11 to 1 chip deficit playing in the final of his hometown inaugural WSOP against the mighty Daniel Negreanu. For Marton all of his Christmases had come at once. Everything else was just a bonus. Interpretation is everything; some people see petulance whilst others see heart; desire and fight. If players tried to eliminate that heat from their game who would they be? It’s the same in sport. If Wayne Rooney stopped complaining to referees, and kicking the odd player up in the air, then where would his game be? He would be half the player he is and the same rings true for the players who rant and rave when they are not getting their just deserts at a final table. At the 2008 WSOP Main Event there was a hand where Cristian Dragomir outplayed Phil Hellmuth to send him into an outburst that has since gone down in WSOP folklore: Hellmuth famously called Cristian Dragomir an ‘idiot’ multiple times. “You are way out of line. It’s poker,” Chino Rheem said to Hellmuth. “To you this is poker. But to me this is my life.” Replied Hellmuth. That’s exactly what it’s all about. When you see Hellmuth calling Dragomir an idiot, Negreanu kicking tables and the likes of Vanessa Selbst nearly bursting into tears after being eliminated from the PartyPoker Premier League V; it’s not about the money. It’s about winning, and the desire to be the best in the game and for their feats to be recorded in the legacy of poker. Amen to that; a man desperate to win who despite winning so much shows he is just as human as the next guy. He gets a drop in confidence, suffers from anxiety and needs to develop a swagger to help get it back. Now can you see why the man kicked the table in Oz and threw his chips in London? It’s a few bursts of uncontrolled, good old-fashioned emotion. Everyone within the poker industry should want everyone doing their utmost to help the business that we love grow. Daniel Negreanu has a bigger reach than most and I for one hope he continues keeping it real and upsetting people in the process, because the more he does it, the more exposure this little family gets, and right now we could do with as much of it as possible. So is Daniel Negreanu a gentleman? Who cares? I just want him to keep it real.